Let The Chocolate Express take care of your baby shower favors. 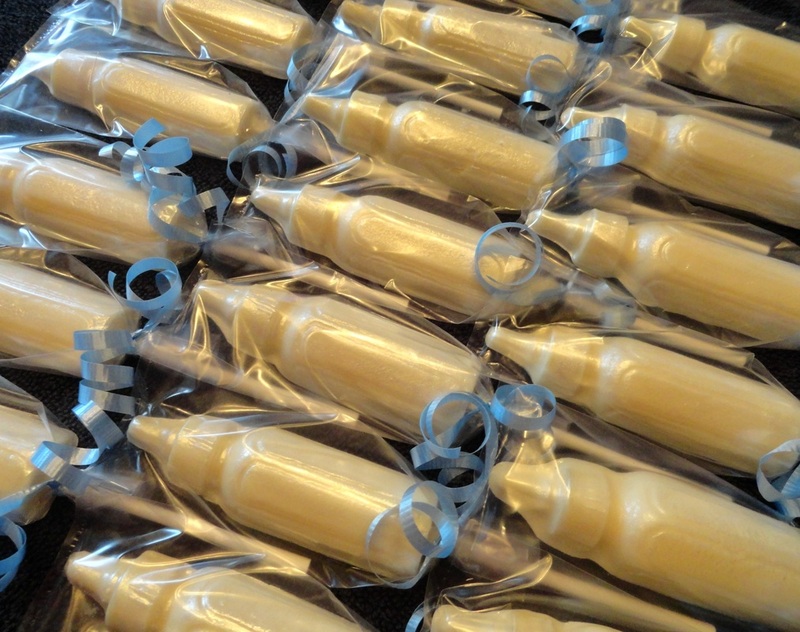 Our chocolate baby bottle pops are perfect to hand out to your guests. And for the new mom-to-be why not a box of mixed gourmet chocolates. 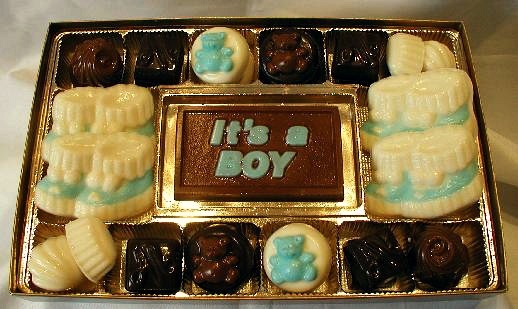 Our wide selection of baby themed chocolates will make your shower memorable. 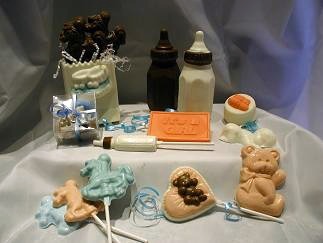 Be sure to ask about our different baby inspired chocolate pops and bite size pieces featuring teddy bears, baby booties, storks and rattles.